As part of my research for the guidebook company Rough Guides, I am lucky to be able to discover places off the beaten track. One of those is in the Dodecanese chain of the Greek islands, a small island called Astypalea. 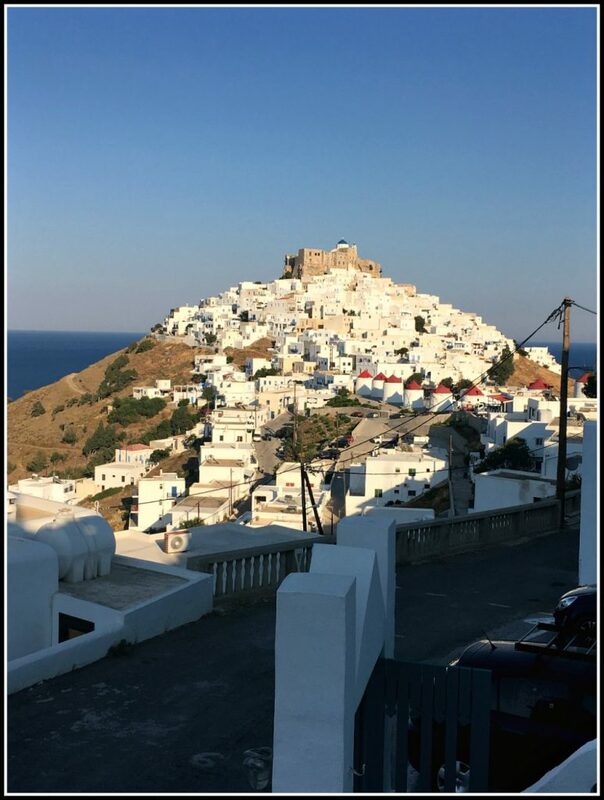 At 114 sq km (44 sq m) in area, and with only roughly 1,500 permanent inhabitants, Astypalea gets more visitors in the high season of the summer months than actual locals! Shaped like a butterfly and named after the nymph who caught the eye of Poseidon, God of the Sea (I don’t know if the nymph was shaped like a butterfly herself, or even if she was one – but let’s move on): the great thing about Astypalea is that there’s no package tourism here – making it a brilliant draw for independent travellers and people wishing to experience a real Greek island holiday. The fact it doesn’t attract package holiday crowds (due to lack of package holiday hotels and even though it has an airport, it’s cartoon-like tiny and can only accommodate propellor aircrafts, plus pretty infrequent and sporadic ferry connections), makes it even more appealing to the adventurous amongst you. Just because it offers approx. 2 ferries a week from main islands like Rhodes or Kos – and one a week all the way from Piraeus – shouldn’t detract you from visiting this little gem. Let’s take a look at some of the reasons why I’d recommend coming. Most Greek islands have what’s referred to as a Chora. This is a small ‘town’ (not in the sense that you or I would term a town), sometimes the capital and it’s usually located at the top of the island, offering 365 degree views of the island and sea surrounding it. If you’re lucky, you’ll find a kastro (castle) as well. 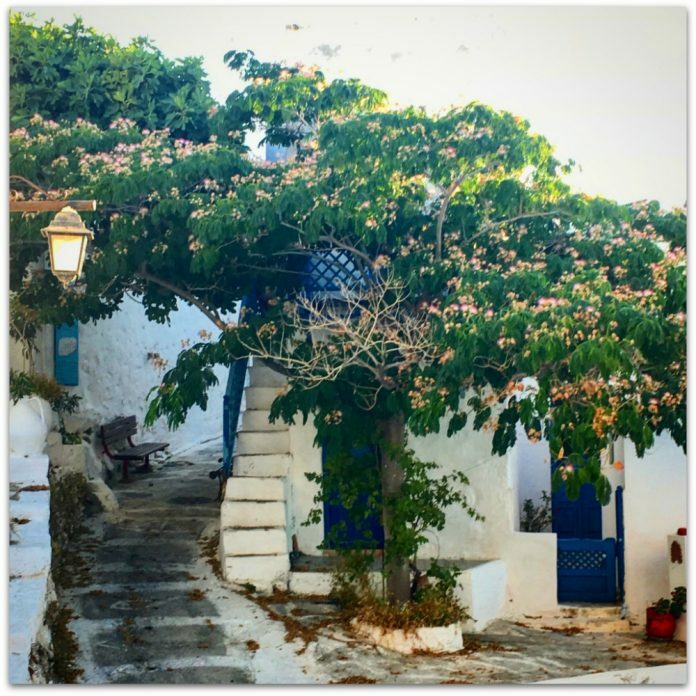 In Astypalea’s case, I would strongly advocate coming to the island even if you just visit the chora and its kastro. The walk to the kastro – built in 1207 by the Venetian Querini family – takes you through the bustling main town; past tourist shops, eight abandoned yet still in good shape red-roofed windmills that look proud and stately, the ubiquitous kafenio where the elderly Greek men sit outside and stare obviously at you – but not in a creepy or intrusive way – and then the windy ascent; my favourite part. It’s here you’ll start the uphill climb to the castle through small alleyways, houses drenched in bougainvillea and prettily painted doors and shutters. It’s great to get lost, actually, and just marvel at the typical Greek scene. For more Greek island scenes, head to my Instagram account. So once you’ve found your way to the top of the Chora, you’ll not be able to miss the kastro (castle). Little more than a ruin, it’s free entry through a huge wooden door and has ‘official’ opening times, but as this is Greece, it’s pretty much left open during daylight hours, and I found the best time of day to go there was at dusk – before sunset; great light for photography and a much cooler time of day to walk up. Astypalea’s kastro is unique in that it didn’t have battlements, it consisted of stacked up facades of private houses. And well into the 20th century, people lived inside these walls, but gradual depopulation and finally, in 1956 a massive earthquake meant the castle became a mere shell. Even so, the views out across the sea are spectacular, and the Church of Evangelismos stands proudly intact within the walls. Church of Evangelismos inside Astypalea Kastro – Astypalea island – Greece. 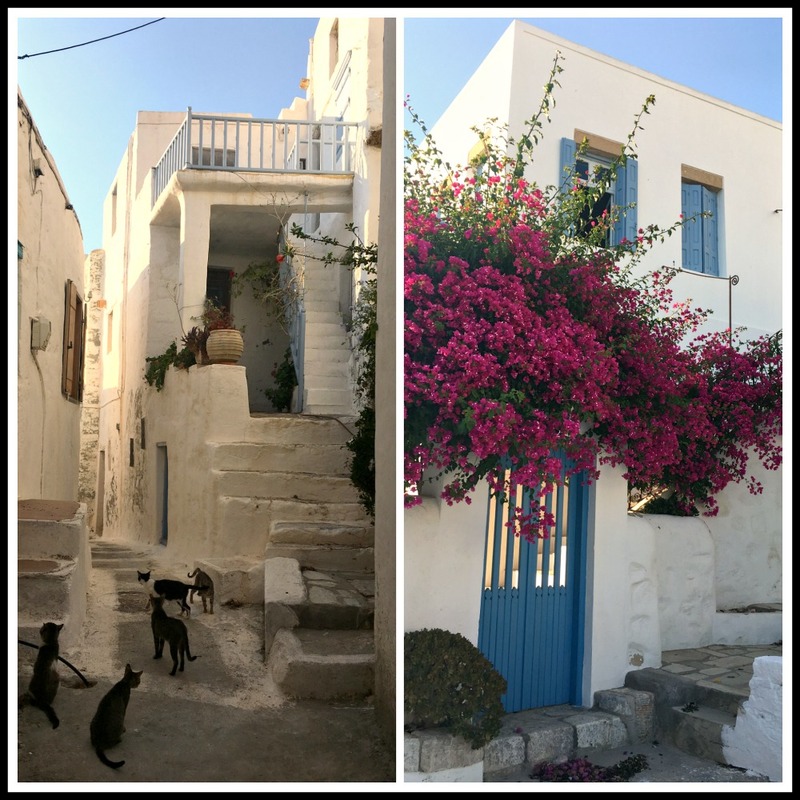 A 15 minute walk (so the guidebooks say – but I’d hitch on a moped if I were you – the walk back is uphill) from the Chora and you come to the pretty resort village of Livadi. The pebbly beach makes for lovely bathing, plus it’s the Chora’s quieter neighbour, albeit not necessarily as aesthetically pleasing. 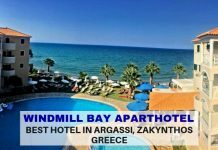 Still, there are a couple of luxury choices of places to stay such as the Kalderimi Hotel – located on a hill with sweeping views of the area, or the Pylaia Boutique Hotel, on the road from Chora to Livadi with small bungalows spilling down the hillside. There are numerous places to eat in Livadi itself, and it’s great to while away the hours swimming, eating and drinking frappe. A true Greek summer lifestyle. 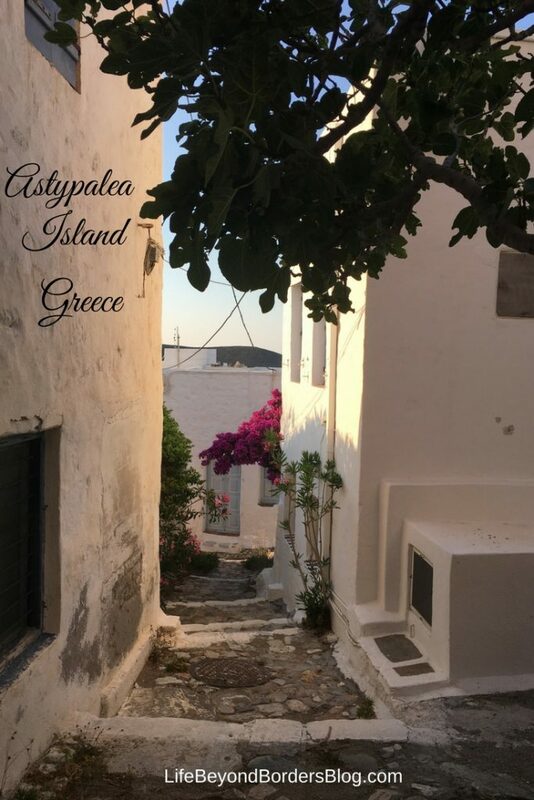 In the other direction from the Chora you’ll find the unremarkable, slightly concrete Pera Yialos with a tiny uncommercial harbour, but it does offer the sumptuous, and affordable, Stampalia Studios – with gorgeous, comfortable CocoMat bedding and terraces with sea views. The orange umbrella and blue bed on the beach is mine. Just go and use it rather than pay for one, then when you’ve finished, I tell my ‘usband to take care of kids – I take you back to Chora on back of bike. To my mind, it’s the perfect get away island to experience Greek hospitality in its truest form. 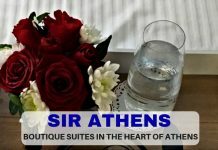 I was a guest at the Astypalea Palace Hotel – a 9 suite accommodation, one with private pool and honeymoon suite – that spills from the hillside just outside of the Chora with gorgeous sea, Chora and kastro views. What appealed to me was the lack of PACKAGE or ALL INCLUSIVE tourism. There are smaller hotels, and this attracts a certain type of tourism…more authentic. Hope you get to these lands one day! I’m always on the hunt for beautiful places that aren’t swarmed by tourists. I’m planning a trip to the Greek Islands this fall, so I will have to add stunning Astypalea to the list. Thank you for writing such a detailed overview of the island! This island looks gorgeous – I love that it’s shaped like a butterfly and that it isn’t awash with tourists. Yes Nicole – that was one of my favourite things about this place; not awash with tourists, as you say. Or rather, ‘package’ all-inclusive tourists. 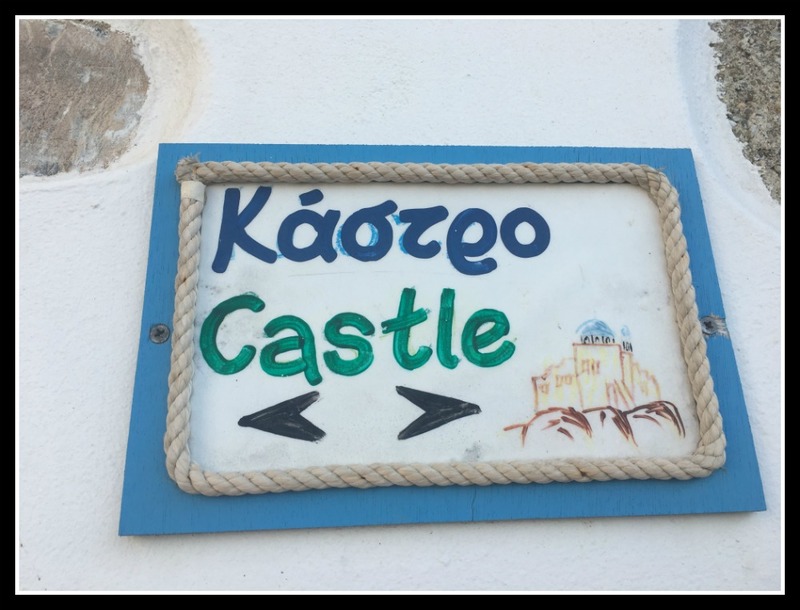 Yes – even within Greece it’s not very well visited Kate, and it’s a definite must visit. When I first started travelling it was all about the key cities! But now I’m all about the small, charming and off the beaten path gems like this one! That’s my idea of travel too Stephanie, with the odd city thrown in. These photos are beautiful! My mother is of Greek descent and we spent a month exploring Greece last year, but pretty much only the most popular spots! Next time I would definitely prefer some “lesser known” islands like this one! Thanks Cali. From someone of Greek heritage, that’s a compliment indeed. I certainly do hope you get to explore many of Greece’s lesser known and less touristy islands on your next visit. What a beautiful place. I’ve always loved Santorini but now I need to add this to my list of places to visit. This place looks so beautiful! I didn’t know that other places in Greece could look similar to Santorini! I’m definitely keeping this island in mind, it seems so hidden. I love the cute doorways too. Great post! As far as the Greek Islands go, I’ve only been to Corfu. It was pretty, but there are only so many signs for English breakfast that you can see before getting upset (as bloody good as a fry-up is). Digging the fact that you can catch a ferry there, too. The less flying, the better. Yes, I too love a fry up – but only in my own country! I don’t go to foreign lands to eat my own food (as you say). Too many people make the mistake of only visiting Greek islands they can fly directly to. 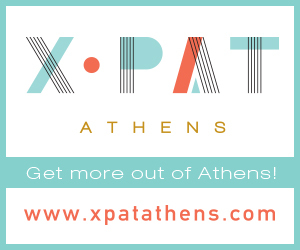 They should taketh time to come to Athens for a couple of days then either hop on a ferry, or go by plane from Athens. There are literally 100s of Greek islands to choose from – and I do hope more people realise this and explore more. I hadn’t heard of this island before. It looks gorgeous. It’s been years since I’ve last been to Greece, would love to go again soon. Well, I guess it’s like everywhere. You get touristy places everywhere in the world – and it is certainly nice to find places that are less so. As I pointed out in my article – the place isn’t really less ‘touristy’ – it’s less ‘package/all inclusive’ touristy, which makes for a different crowd – and better. I am personally not a fan of all inclusive, so finds like this are great. That all sounds like the perfect lace to get away from it all. Love the friendliness of the locals – definitely a benefit of it not being so mass market. Hope you get to visit Greece one day Sol! Looks like a beautiful island and I love that there are no package tourists here. 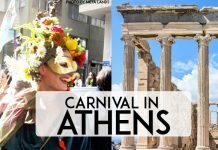 I’ve been to many of the well known Greek Islands so I would love to visit some places that are more off the beaten path. I can never get enough of Greece and this lovely island is from now on my list. I really loved Astypalea when I went Maria. I hope you enjoy it too. I’m really keen on the idea of visiting lesser known destinations when I travel. Thanks for pointing out this place, it sounds exactly the kind of place I enjoy visiting. You’re welcome Stuart. I do hope you’ll make the effort one day to go and explore some of Greece’s lesser visited islands, less package-holiday islands. I say ‘make the effort’ because some aren’t so easy to get to, but are very much worth it. 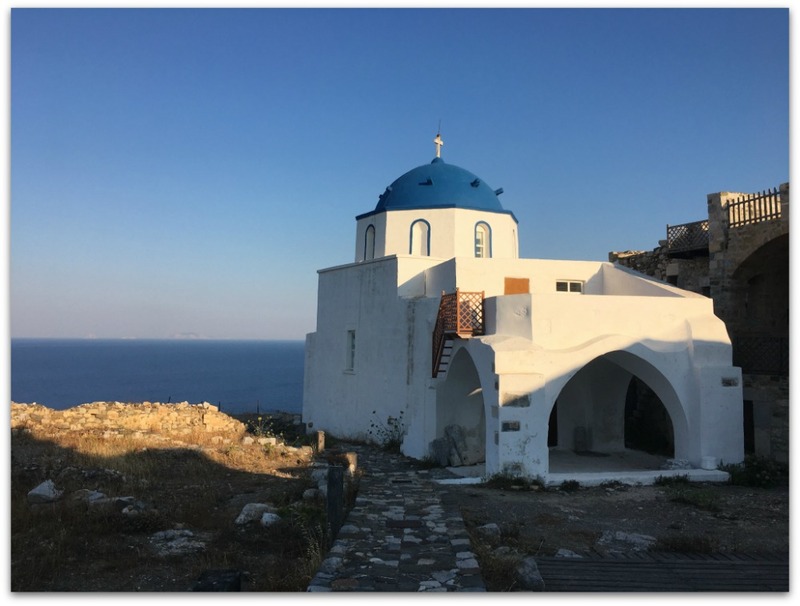 Check out my Dodecanese section on the site as this offers a whole host of islands you may not have heard of…and some hidden spots on some of the more popular islands.